The Arkansas Department of Education recently kicked off its annual school bus safety campaign. 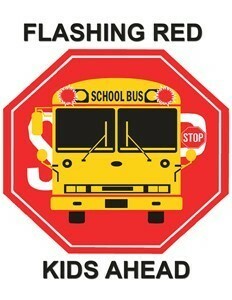 "Flashing Red, Kids Ahead," is a three week campaign to begin the school year that reminds motorists when red lights are flashing on a bus, then our children will be getting on and off of the bus. It is illegal to pass a stopped school bus whenever red lights are flashing. Our school buses hold our most precious cargo. It is our highest priority to get your children to and from your home in the safest manor every single day. Please help us to accomplish this mission by obeying this very important law.